A beautiful and mega tuneful 60's style JM model from Master builder Abe Rittenhouse. Medium weight and aging with mild weather checking, this Alder body beauty really sings. Has a medium C vintage size neck with thick slab Rosewood board, Klein "1969" pickups with vintage type cloth jacketed wiring- orange drop caps, CTS pots- Switchcraft jack, real Nitro finish, Buzz Stop Roller string tensioner at the bridge for proper down pressure. An awesome hand crafted vintage style Guitar with all the best stuff. Brand new, hand crafted and gig ready! 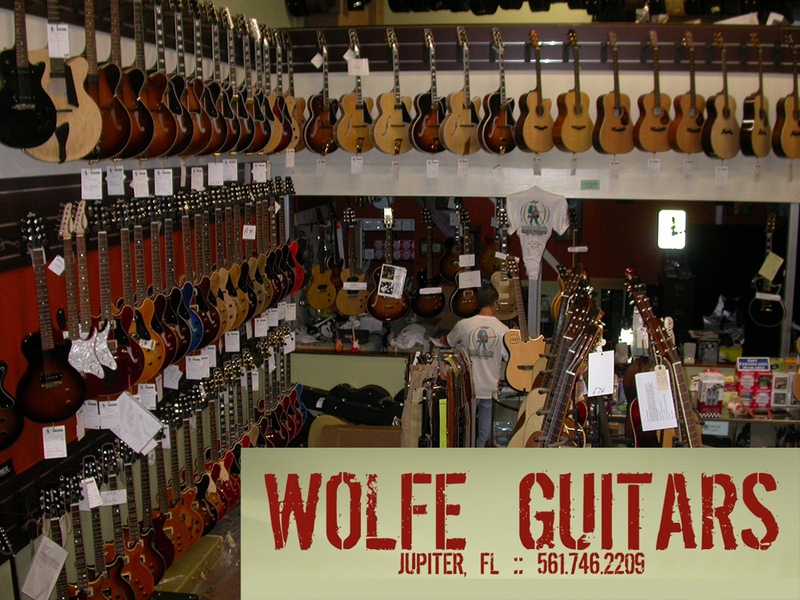 WOLFE GUITARS have an incredible high tech PLEK machine, and we are offering a SPECIAL PRICE for customers buying a new or pre-owned Guitar or Bass from our shop. Our PLEK robotic fret dressing process is way more accurate and gentler on the frets & fingerboard fret slots than a typical manual filing fret dress and is the ONLY option for those desiring “precision” fret alignment. Since the instrument is already here, and going to be setup by us anyway, we’ll do the PLEK service for a deeply discounted price of just $139.00. Included is hand polishing the frets and a full setup. This amazing service is normally $219.00 Our PLEK customers tell us they’re VERY pleased with the results and you will be also.